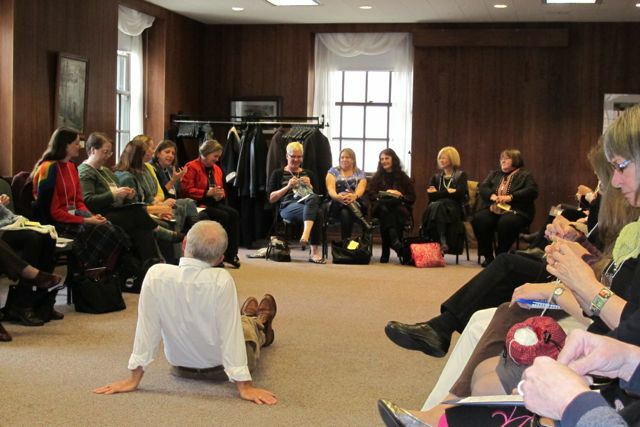 Blog | Center for Knit and Crochet | To preserve and promote art, craft, scholarship. If you are a lover of knit and crochet history, you will want to watch the ongoing auctions, sponsored by Schoolhouse Press of garments hand knit by Barbara G. Walker, one of the most important figures in the mid-century resurgence of interest in knitting that continues today. The first auction ends Saturday night, November 2, at midnight. The second and third auctions will follow, and a schedule can be found here:along with “Look Books” featuring excellent photography and multiple views of each item. The Center for Knit and Crochet is excited that more collectors and museums will own a piece of this important history. We would love for all the pieces to end up in the homes of knitters who will adore and treasure them for decades to come, or museums who will preserve and share them with future generations. If you plan to purchase a piece of knitting from this special auction of work from Barbara Walker’s own hands, we hope you will consider sharing the news and images of your treasure with us, by contacting: knitheritagemuseum@gmail.com. — a research library to enable scholarship on knit and crochet. So please keep us in mind and get in touch with us so that when the time arrives, we can register your treasure in our database. This would involve recording data about the item, including pictures. We may even desire to organize an exhibition of Barbara Walker’s work in the future, and would like to be able to contact you to discuss including your special piece. We will respect your desires about privacy, but we hope you will also be willing to let us advise you directly of any scholars who contact us about studying Barbara Walker so that you may contact them if you choose to do so. We look forward to coordinating with as many lovers of knit and crochet as possible to develop a vibrant online community that preserves and values our knitting and crochet heritage! My silence was due in part to an amazing seven week journey across the South Pacific: Hawaii, New Zealand, Australia and French Polynesia (and tenacious three week virus upon my return). I visited museums on my quest for glimpses of knitting and crochet. Many of my explorations and interactions connected with knitting and crochet.For example, who could have known that the Train Museum in Laupahoehoe, Hawaii, would be displaying a cotton coverlet, crocheted by Bella Fernandez and donated by Elizabeth Silva? I’ll be sharing anecdotes and pictures elsewhere on this page. Our Vice President Jennifer Lindsay has just finished work on her second large scale public art project using knitting and crochet. 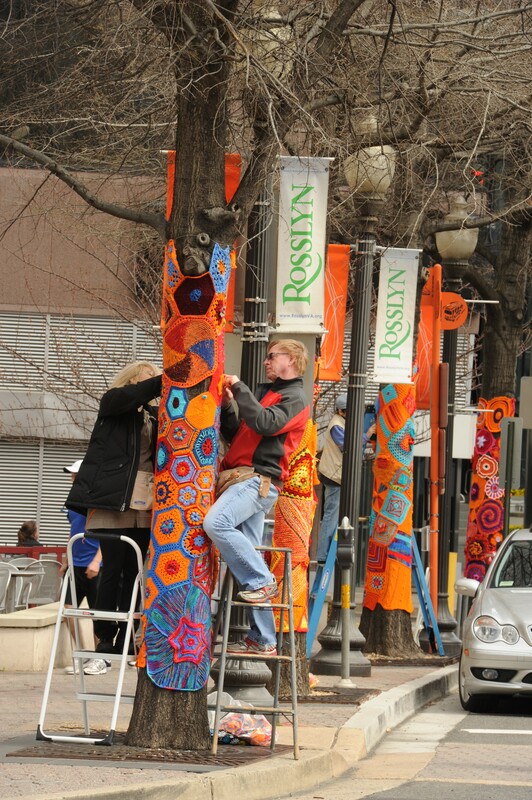 View the playful images, videos, and news links for the Artisphere Yarn Bomb on view in Rosslyn, Virginia. This is the sort of project we hope that The Center will be able to nurture. Our nine-member Board has also been working to craft the infrastructure for our pioneering, on-line museum to honor crochet and knitting. As those who volunteered for the formative work understood, the work is not glitzy, but essential. Right now the task feels like starting a new knit or crochet project: we are really anxious to get past the swatching. The yarn is beguiling – a splendid vision of stitch combinations teases just beyond reach; still we have tried multiple needle sizes and stitch repeats, and can’t seem to achieve the drape and texture in the fabric that we see in our mind’s eye. We would like to just cast-on and get the pattern set. Still, taking the time to get all the elements of the design in place is both the challenge and thrill of our craft. So it is with forming a new organization. The start-up tasks for our fledgling non-profit include drafting the bylaws, and developing a project priority list in conjunction with a multi-year budget so that we can submit our application to the IRS to be a tax-exempt charitable . That non-profit status must be in place before funders at any to support the work of the CKAC. Still we are now set up to accept donations through PayPal,and if you aren’t concerned that your contribution may not be tax deductible, we encourage you to consider making a contribution. We are also making progress on other fronts. 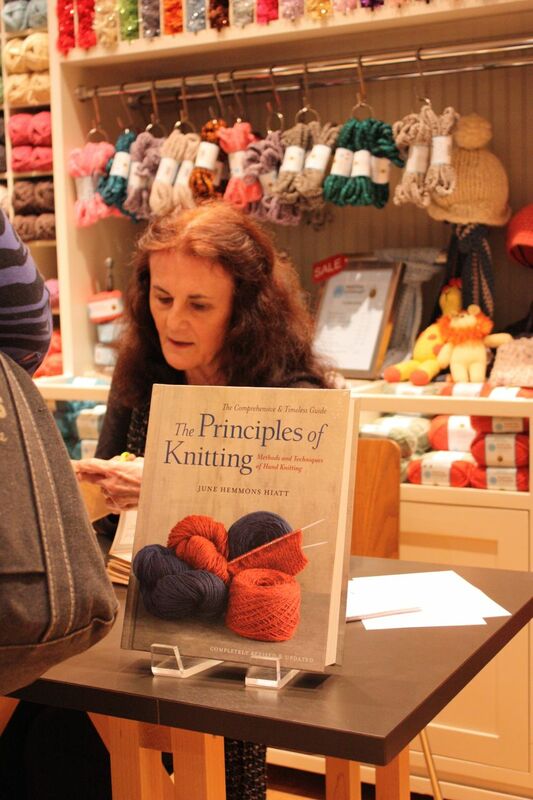 CKC is most fortunate to have the help of June Hemmons Hiatt, knitting scholar extraordinaire, and author of Principles of Knitting, just recently updated in a second edition. June Hemmons Hiatt at her book signing at the Lion Brand Yarn Studio, April 2013. Courtesy of Lion Brand Yarn Company, used with permission. She is preparing a draft nomenclature for knitting and crochet that will help us to systematically describe objects, and capture their stories in searchable text and images. Thanks to June for leading us through this key process! We are also excited that the Center for Knit and Crochet will have a presence at Vogue Knitting Live in NYC, Jan 16-19, 2014. Stay tuned for evolving details! If you are coming to TNNA, join us for an update. This week industry leaders in the world of knitting and crochet will convene in Long Beach California for the winter sales show of The National NeedleArts Association, TNNA. TNNA is a member organization consisting of manufacturers, wholesalers, distributers and retailers of quality yarns, tools, books and supplies that support all of the needle arts. TNNA’s Yarn Group sponsored the Symposium: Knit and Crochet Heritage Museum: A Work in Progress, November 8-10,2012, Madison Wisconsin, where the Center for Knit and Crochet was formed. The Yarn Group of TNNA “is an industry-encompassing group that promotes the growth of the yarn industry, creates awareness and appreciation of the craft, and encourages partnerships between members of the community”. 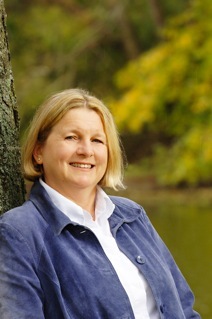 Karen Kendrick-Hands, President of the Center will report on the progress since establishing the Center for Knit and Crochet at the TNNA’s Member Meeting and the Yarn Group’s Meeting and will be in TNNA Lounge Sunday afternoon for personal updates. The Center was incorporated as a Wisconsin non-stock corporation on Dec. 13, 2012. The CKC Advisory Board, created at the Symposium, is an interim board of nine volunteer members who are shepherding the Center’s initial phases of development. Interim Treasurer Marilyn Huset, a CPA, secured our federal ID number, paid the Symposium bills and established our bank and Paypal accounts so that we can receive your donations. Our legal counsel has advised, that when, the Center is declared to be a 501(c)(3), all contributions made from the day of incorporation forward will be retroactively tax-deductible. While there is no guarantee that your deduction will be tax deductible if the Center fails to become eligible for tax exempt status as a charitable organization 501(c)(3), we hope that you will consider making a donation to help us defray the legal fees and application fees that are associated with this process, and the other expenses we are anticipating as part of start-up, which are outlined more fully below. Our Vice President, Jennifer Lindsay, is heading the effort to review best practices for museums and other similar entities in order to draft Bylaws for our organization that will define membership categories, rights, obligations, and benefits, and other essential operating principles. Before being approved, the draft Bylaws will be reviewed and approved by the Bylaws Committee, the CKC Advisory Board as a whole, and our legal counsel Preparing the Bylaws is required as part of the application to receive 501(c)(3) status from the US Internal Revenue Service. Thanks to the TNNA’s Yarn Group, who provided a generous grant of seed money to fund our Symposium in November, and to the hosting support provided by the Wisconsin Historical Society and its Foundation, some of the money raised from Symposium registration fees and Book Festival sales will help finance start-up costs. CKC Advisory Board members and symposium attendees are donating their time and talents to facilitate the process of establishing the center as a 501(c)(3) tax exempt entity, and to provide other essential services in accounting, logo design, creating and editing web and newsletter content, and developing a taxonomy or nomenclature that can be used as a basis to develop a digital collection of objects. A big “thanks” to the Center’s Secretary, Nicole Scalessa, and her sister for developing the Center’s new logo. Social media efforts – all volunteer to date — have garnered a following on line of over 800 on our Facebook page, nearly 190 in our Ravelry Group, and 123 blog followers, the Center pays money to maintain a web presence and to create, host and circulate the on-line newsletter. However, starting a non-profit organization also entails spending money to retain legal counsel to advise us on filing our 501(c)(3) application, and to pay the filing and registration fees. Initial start-up expenses (legal fees, filing fees) will exhaust most of our current funds. In addition, the Center pays money to maintain a web presence and to create, host and circulate the on-line newsletter. Donations during this provisional start-up period, will ensure that we can cover these expense. The Center also needs to plan and budget for future growth and development – to consult professionals in web design, photography and image hosting, and to create a provisional web site that will allow us to communicate more effectively. There will likely be costs associated with sharing and vetting the knit and crochet taxonomy or nomenclature we are developing to underpin the digital repository. There are also costs associated with other essential outreach, e.g., the development and sharing of guidelines for preserving and documenting knitting and crochet at home, or as a function of your local guild or group. Finally, we will be planning a second Symposium. Jack Blumenthal of Lion Brand Yarn, has offered to host the next Symposium at Lion Brand Yarn’s New Jersey facilities. Your donations will keep our dream alive of creating an organization – the first of its kind – that will properly preserve and promote the art, craft, and scholarship of knitting and crochet. Once we are able to confer memberships, we can apply any donations you have made toward an annual membership in the Center for Knit and Crochet, and we will, of course, be looking for additional sources of funding, like grants and other donations, that we can secure to help us on our way. Thanks to the Madison Knitters Guild, Madison area knitters and crocheters have the opportunity to enjoy a one woman show of knitting themed songs, wrapped around the story (loosely) of knitting during war time as a way for the “soldier girls” at home to support the brave boys overseas, this Saturday, January 12, 2013 at 2 and 7 pm. More Power to Your Knitting, Nell! Knit one, purl 1942… Sadie’s dream of being a radio star suddenly comes true when the war starts and she lands a gig as “Knitting Nell.” Leading “Soldier Girls at Home” through her knitting songs, Sadie guides the war effort one stitch at a time. The only trouble is… Sadie hates knitting! This authentic musical “yarn” features historical knitting—yes, knitting—music. For an informal (filmed in a corridor) interview with Melanie Gall about the Knitting Musical, her love of music and her more complicated relationship with knitting, check out this video. Singer Melanie is the non-knitting half (of which she seems puckishly proud) of the Savvy Sisters Podcasters. The Madison Knitters Guild will host podcasters Deborah and Melanie, the Savvy Girls, two sisters who take playful and thoughtful look at knitting, travel and Life. Apparently Melanie sings about knitting (among other things) and Deborah actually does it. As detailed above, Melanie will be performing a number of songs from among the 100 she has collected, Saturday January 12 at 2 pm and 7 pm at the Bishop O’Connor Center Auditorium (same place that hosts the Madison Knitters Guild). 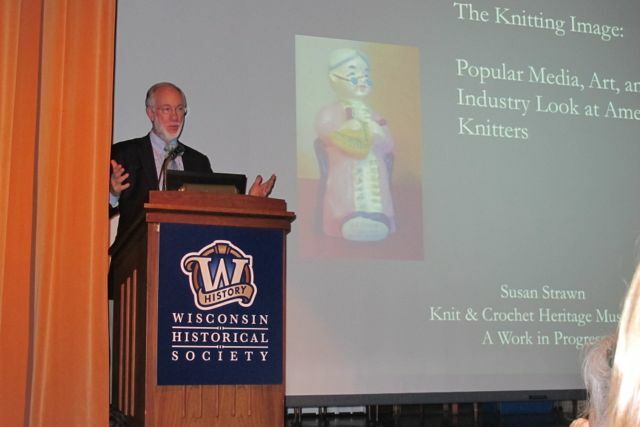 Both sisters will be the featured speakers at Monday’s Madison Knitters Guild’s meeting on Monday Jan. 14. [Doors open 5 pm, KnitAid 5 pm, Meeting 6:30 – 8:30 pm]. This is definitely the sort of the history related activity the Center for Knit and Crochet embraces. Plan to attend if you are in the Madison area. followed by welcome and opening remarks from Dr. Ellsworth Brown, the Ruth and Hartley Barker Director of the Wisconsin Historical Society; and Karen Kendrick-Hands, Symposium Chair (that’s me!). from the Textiles and Costume Collection of Wisconsin Historical Society, and the Helen Louise Allen Textile Collection of the School of Human Ecology at University Of Wisconsin-Madison. The exhibit was curated by Leslie Bellais, WHS, with assistance from Liese Pfeifer, Collections Manager of HLATC. Susan Strawn, PhD, presented an interesting power-point montage of photos of knitters throughout the years titled, “The Knitting Image: Popular Media, Art, and Industry Look at American Knitters.” Susan is a professor of Apparel Design and Merchandising at Dominican University in River Forest, IL. * know your audience before you commit. A common thread throughout Melissa’s talk was: “It always costs more money and takes more time than you can imagine.” The immense expense of owning a building and maintaining a collection made us much more receptive to the concept of honoring knit and crochet by creating a digital space with the attributes and offerings of a physical museum – an alternative championed by Dr. Ellsworth Brown. Jennifer Lindsay, M.A., History of Decorative Arts and coordinator for the Smithsonian Community Reef (a collaborative fiber art exhibition created for the National Museum of Natural History’s exhibition of the Hyperbolic Crochet Coral Reef in 2010), advocated creating a virtual museum when she first got involved with the project in 2011. At the symposium, Jennifer discussed the virtual museum’s form and content as an opportunity to integrate institutional knowledge with community knowledge more deliberately and openly than museums are doing on-line now. She recommended we collaborate with museums and other collectors to develop a global, pan-institutional digital collection of historical and contemporary objects that could be augmented and critiqued by members of the community using recent advances in technology and in social net-working. Jennifer referenced the Australian Dress Register (“ADR”) developed at Sydney, Australia’s Powerhouse Museum , which currently includes examples of dress from 45 collections, and allows the public to add objects and supporting information upon approval. 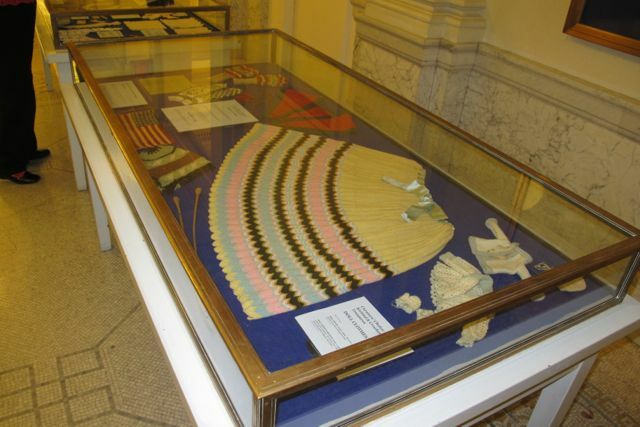 The ADR provides excellent resources to support outreach and education, including how to photograph, store, preserve and catalogue items of dress. 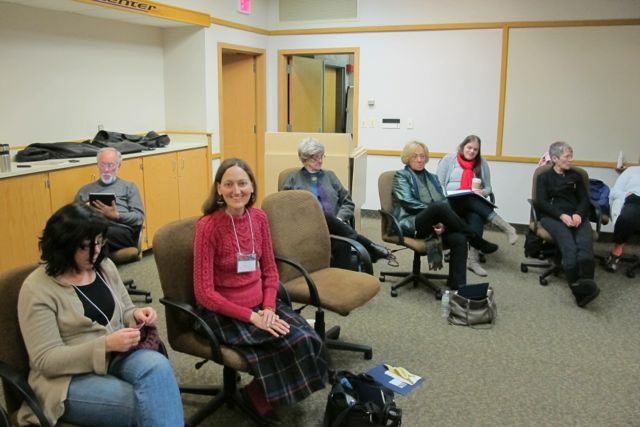 Jennifer suggested that a virtual museum would promote appreciation and scholarship of knitting and crochet most effectively by facilitating a robust exchange of information about the techniques, materials, and evolving social history of knitting and crochet between museum professionals, collectors, scholars, artists, and passionate practitioners. She noted that it can also be used to test the feasibility of developing a physical museum at a later date. 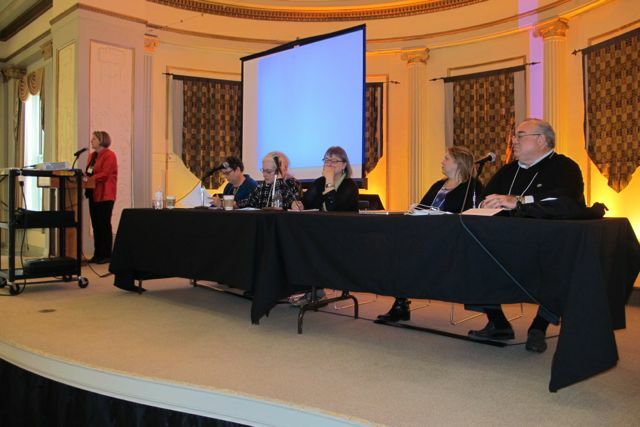 Karen, Susan and Melissa were joined by Trisha Malcolm (Vogue Knitting) and Jack Blumenthal (Lion Brand Yarns) on a panel, moderated by Sheryl Thies, that addressed The Values of Heritage and Why It Matters. The strength of the gathering, beyond the fine presentations, were the interactions and synergies among the more than 50 participants, including June Hemmons Hiatt, author of “The Principles of Knitting;” Gwen Blakley Kinsler, founder and first president of the Crochet Guild of America; Dr. Angharad Thomas, Textile Archivist of the Knitting and Crochet Guild of the UK, (who came all the way from the British Isles); Jolie Elder, past president of Atlanta’s Knitting Guild; Julia Grunau, owner of Patternfish in Toronto, CA; Nicole Scalessa, IT Manager for The Library Company of Philadelphia; Beth Casey, owner of Lorna’s Laces and Chair of TNNA’s Yarn Group, our primary sponsor; Karen Searle, fiber artist; Lily Marsh, a doctoral student in American Studies at Purdue University who is researching Elizabeth Zimmerman, founder of Schoolhouse Press; Kathleen Mullins, Executive Director of the Edsel and Eleanor Ford House and the Henry Ford Estate; and Sheryl Thies, knitting designer and author. Members of Madison Knitters Guild, the local guild with over 500 members, provided both informed participation and many of the volunteers who made the event possible. ‘Passionate practitioners’ came from near and far to learn and help this initiative succeed. Of course the risk of listing is omission, so I welcome concepts correcting gaps, and apologize in advance! The most important work was done Friday afternoon and Saturday morning when all the participants joined, under the guidance of an expert facilitator, to address our interests, excitement and concerns regarding the feasibility of establishing a knit and crochet museum. These hours were interesting, intense and enlightening. After extensive discussion we selected the following name and tagline. As the Saturday session concluded, we formed a seven member temporary board, and consented together to pursue nonprofit incorporation and 501(c)(3) status. We have already started drafting the incorporation papers, even as other members pursue developing a vocabulary and categories for our “metadata” and a set of best practice guidelines for private collectors and local guilds to ensure the preservation of important knitted and crocheted objects intact with their stories in their local context. We will follow-up with virtual brainstorming session to generate and prioritize scope, project, program and partnership ideas. Stay tuned for a new Logo, and Web page to reflect our collective vision and strategic directions.We will publish a more detailed symposium summary, and ways that you can get involved with and contribute to the Center for Knit and Crochet. We are an amazing collection of talent, intellect, passion and energy!! We hope that you will join us on this amazing journey. The Symposium starts this afternoon!! Amazingly, June Hemmons Hiatt, author of the masterwork, “The Principles of Knitting,” now in its second edition, is coming. Trisha Malcolm of Vogue Knitting shared the info with her and she is coming. As a History scholar, June sees this effort as important. We are thrilled (and humbled) to have her attend. We have a great facilitator to guide our discussions so that we emerge with strategic directions on Saturday. So exciting!!! The Wisconsin State Journal had a great article this past Sunday. Check out the pix of the Curators’ Choice Exhibit, and a preview of the work over the next three days. I can tell that this Project is being taken seriously, because a developer of software to manage digital collections has emailed us with an urgent sales pitch – all the way from New Zealand!! The Symposium closes with a book signing. The following authors of Knit and Crochet Books, that build our skills, inspire our designs, and keep our hooks busy and needles clicking will join us. Mary Germaine, Therese Chynoweth, Beverly Gordon, June Hemmons Hiatt, Judy Swartz Marcus, Janet Rehfeldt, Myrna Stahman, Susan Strawn, and Sheryl Thies. Drop by to meet them. Sorry no time to upload .jpgs or links!!! Thanks for the well wishes from around the world, as we “cast-off” to make history. Before i launch into my apology to crocheters, i want to acknowledge and thank fellow bloggers who have discussed the Knit and Crochet Heritage project on their blogs. Thanks to Susan Anderson of Itty Bitty Knits, Crochet Insider, Dora Ohrenstein, who also talked us up in a recent JimmyBeansWool blog post, and TECH Knitter. We are grateful for their thoughtful support, and their eloquent assistance in getting the word out. The enterprise to to start a new “museum” – whatever that means in the twenty-first century — is daunting. Important, valuable objects and the stories they tell deserve the “museum” treatment. The Knit and Crochet Heritage Project is about making sure that the objects that we have created with our hands and the simple tools of sticks, hooks and string are so honored. I know the title of this blog page is KnittingHeritageMuseum – and doesn’t mention its equally compelling and important sister art/craft: crochet. Movers and shakers in the crochet world have frequently called me out and asked, “How could you make such an omission?” I thought i would share my mea culpa with you readers, and ask your indulgence for a fresh start. I appreciate crocheters’ concern, and i agree that in a perfect world (I work hard – but am not perfect) I would have used crochet equally from the very beginning. Initially I used just the word “knitting” in the titles and for setting up Facebook, mostly because “knitting and crocheting heritage museum” was such a mouthful. Actually, my grandmother taught me to crochet before i learned to knit, and my crochet-only sister keeps me in line. 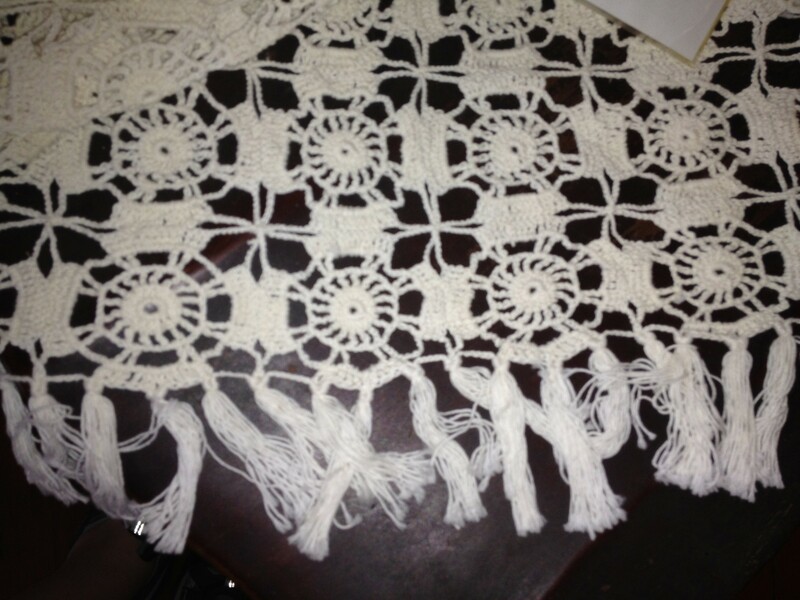 My wedding dress and veil were trimmed with 8 yards of crocheted – not knitted – lace edging that I made. Early on crocheters pointed out the error of my ways. They made clear that I had erroneously chosen perceived brevity over inclusivity and that was a mistake. The domain name i have secured for a proper web page is the KACHM.org for Knit and Crochet Heritage Museum, – so, moving forward, inclusiveness will be more visible. The current version of the logo now says Knit and Crochet Heritage Museum- although it, like the Facebook name and of this blog page are placeholders. The good news is that the Symposium, November 8-10 in Madison, Wisconsin, provides the opportunity for a fresh start – snappy new inclusive name for the project/initiative/museum that is the result of deliberation and consensus. The more crocheters engage, the more balance there will be. Perhaps we will even come up with the a single word for knit and crochet like we have “sibling” for brothers and sisters. In Japanese, there is only one word that translates roughly as “yarn play.” Perhaps a new inclusive word like “yarning” or something better, will catch on. That would be a positive outcome. One of the possibilities is to develop a “SWAT” team of skilled crocheters and knitters to work with willing curators to help update, clarify and enhance documentation. Getting labels straight in museum collections, so that crocheted objects aren’t misclassified as knitting, and vice versa, is a goal of this project; that will benefit both knitters and crocheters. This initiative has a higher likelihood of success if crocheters, as well as knitters are on board. Now is the time to direct our collective energies time and talents to advance both crochet and knitting. Symposium registration closes Oct. 26. I hope you can join us.